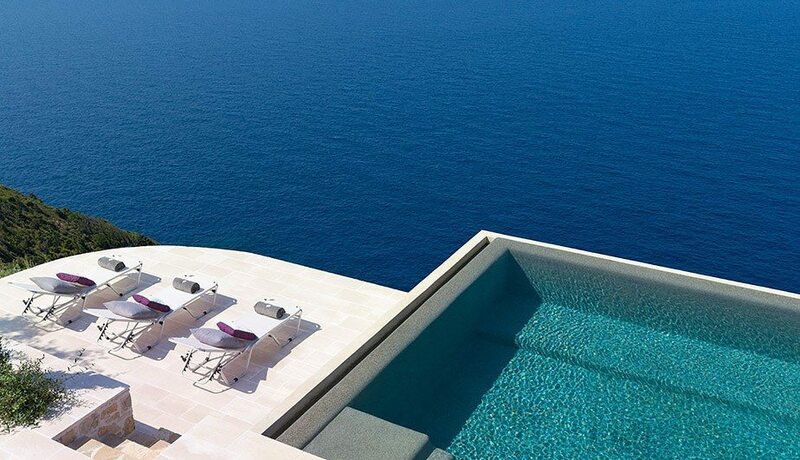 This is an extraordinary place. 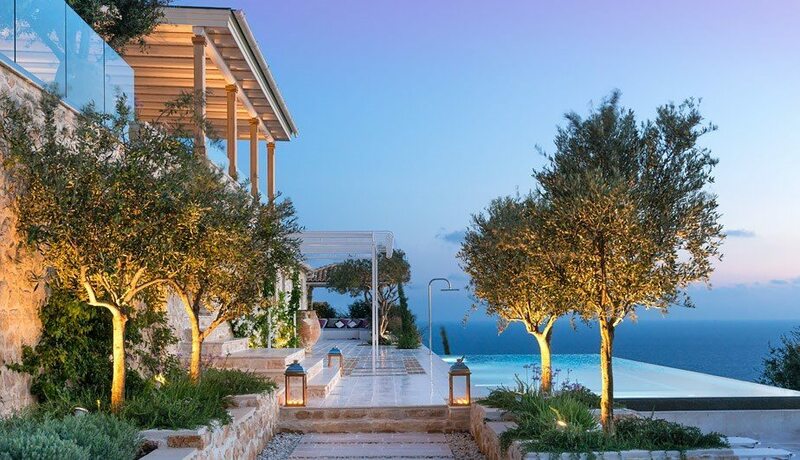 We have been in many fabulous hotels and villas in remote, faraway places, but this one tops them all. 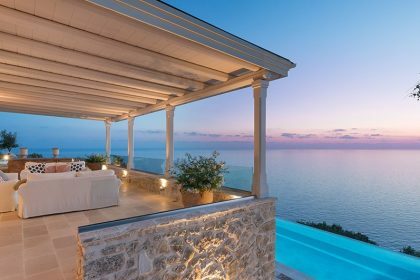 The beauty of the spot, of the villa, of the pool, the quality of the service, the situation on the island will stay unrivalled. 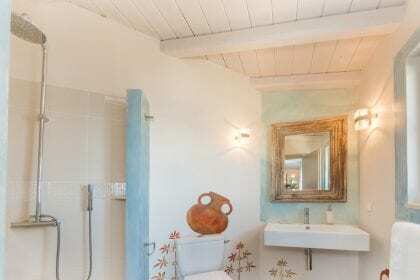 Erimitis Bar and restaurant is a very short drive – or slightly longer walk. 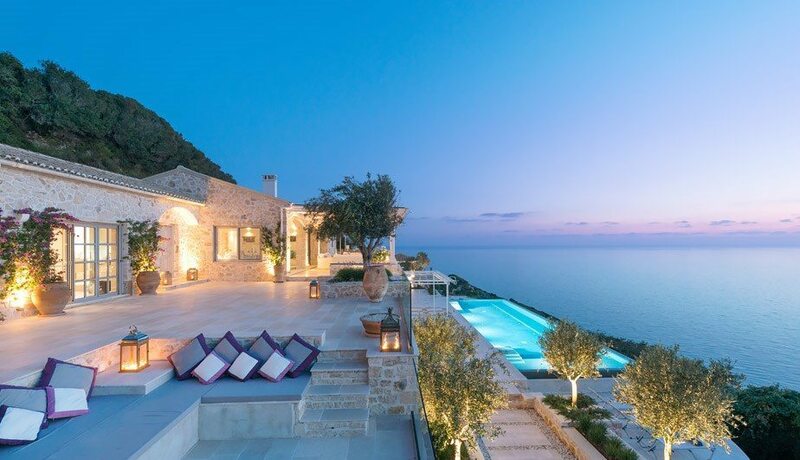 It has the same stunning views as the villa. 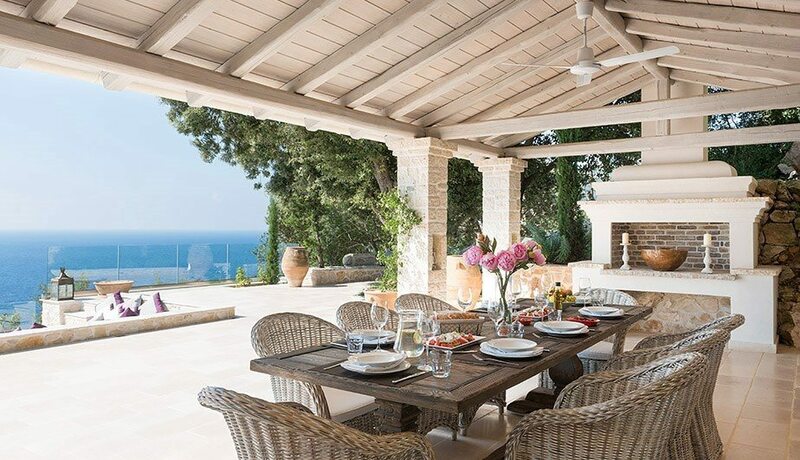 Food at the taverna is good and the choice of cocktails is extensive. 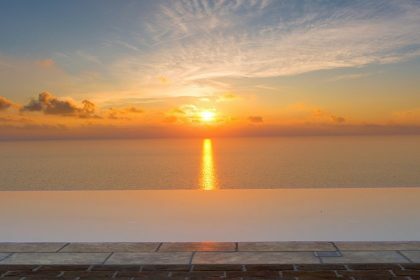 Gaios has a good choice of bars and restaurants and is only a 10 minute drive. 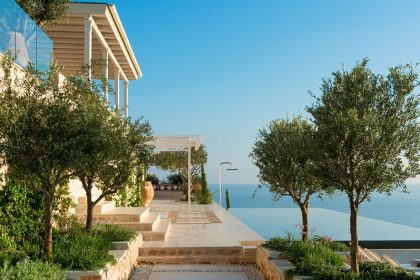 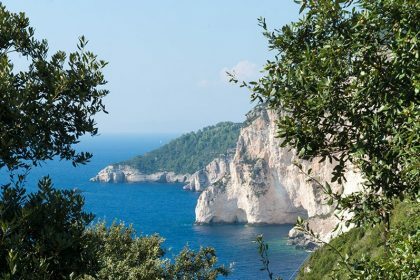 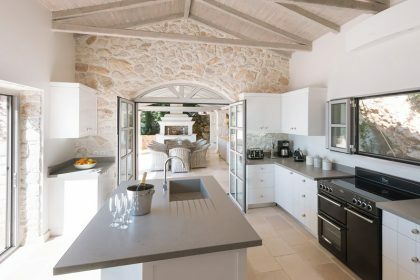 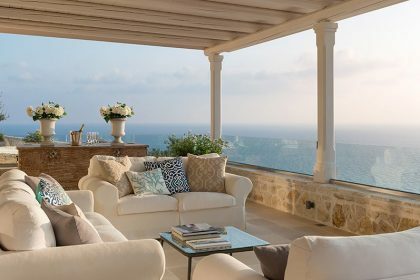 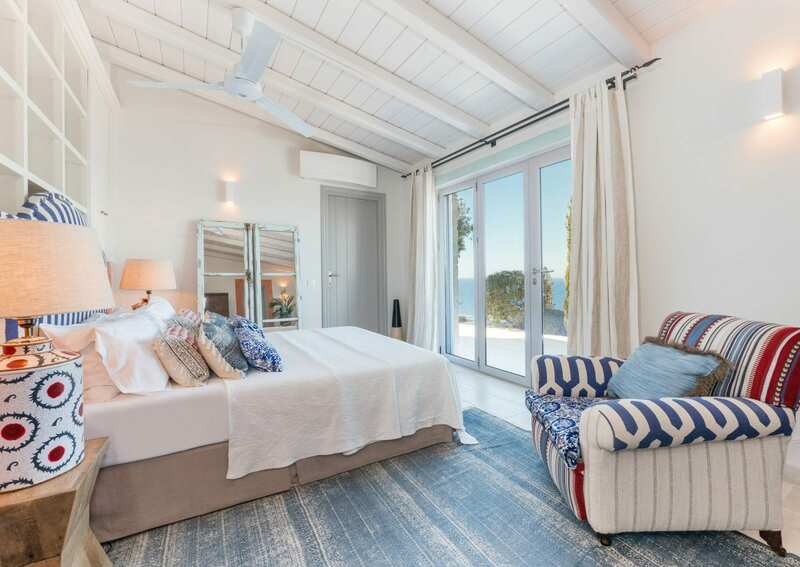 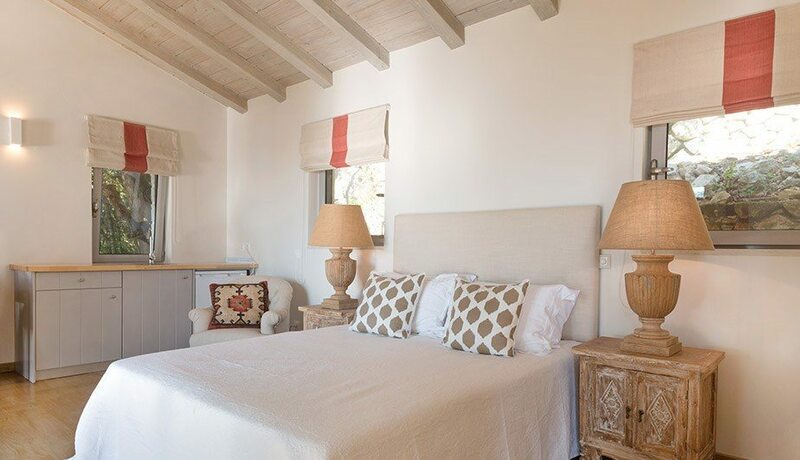 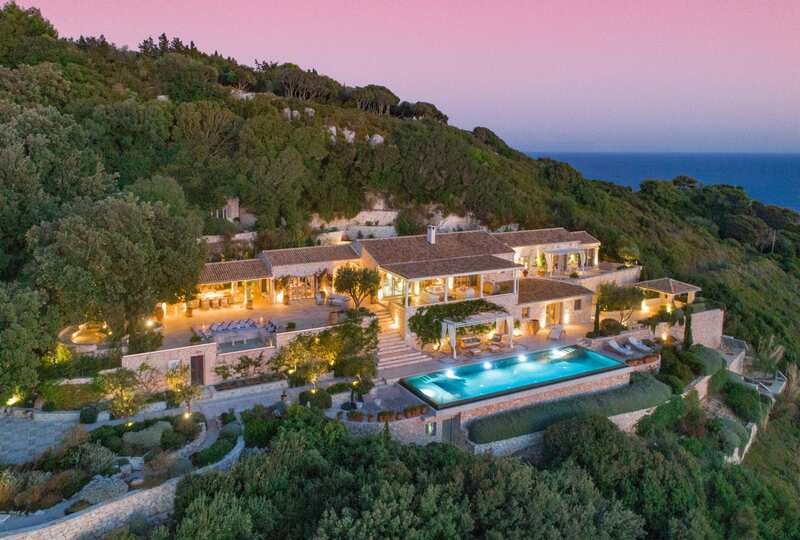 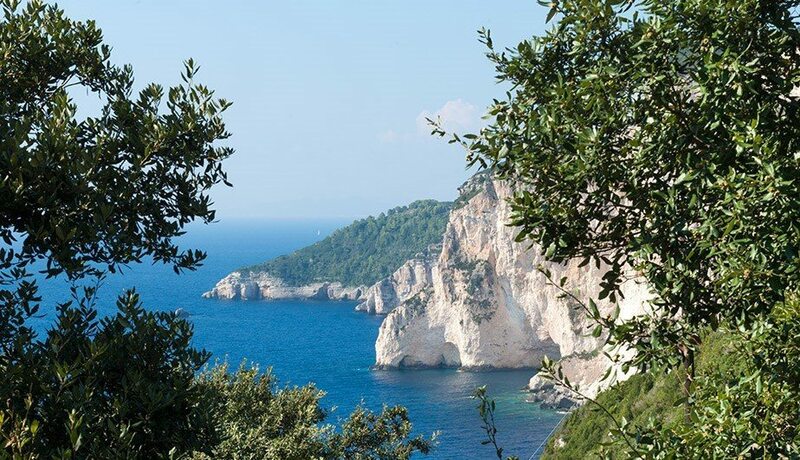 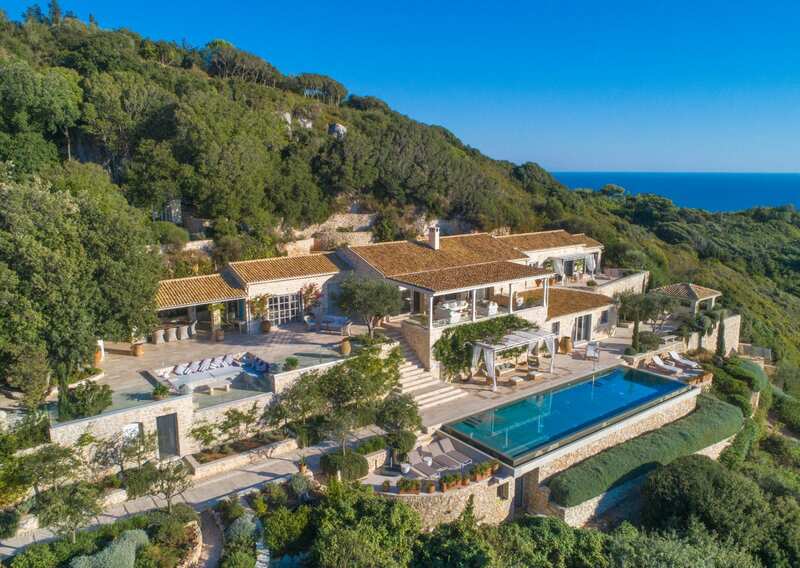 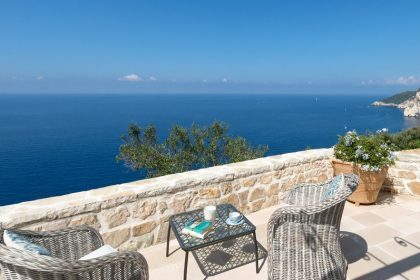 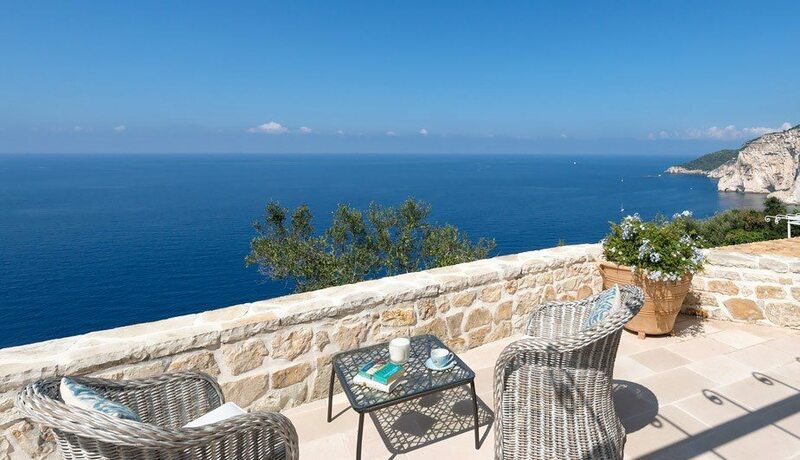 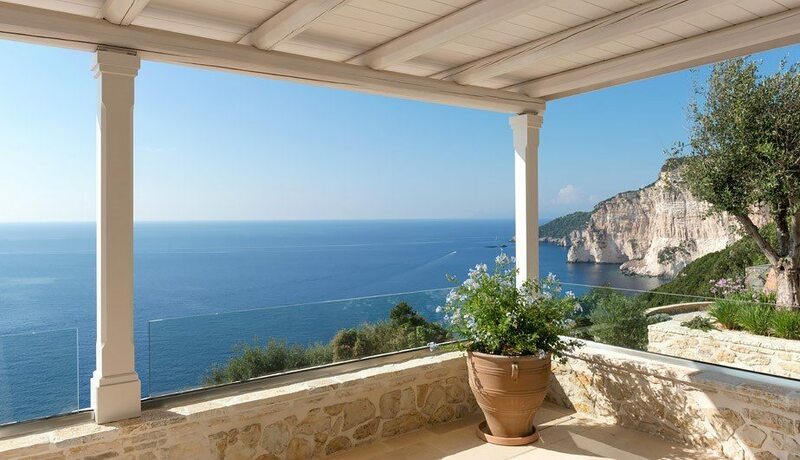 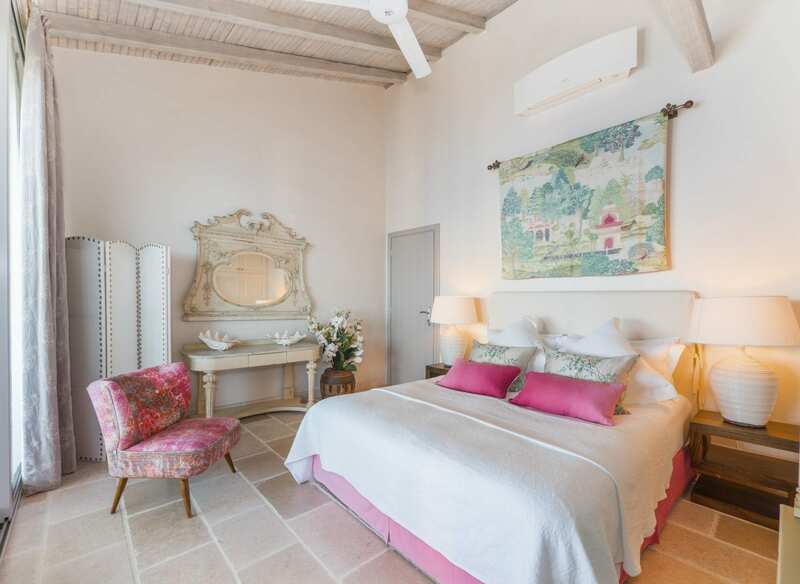 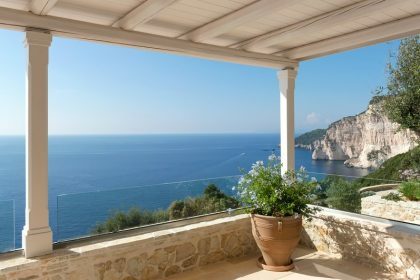 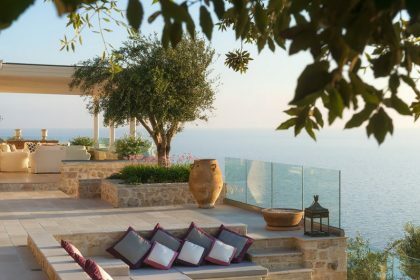 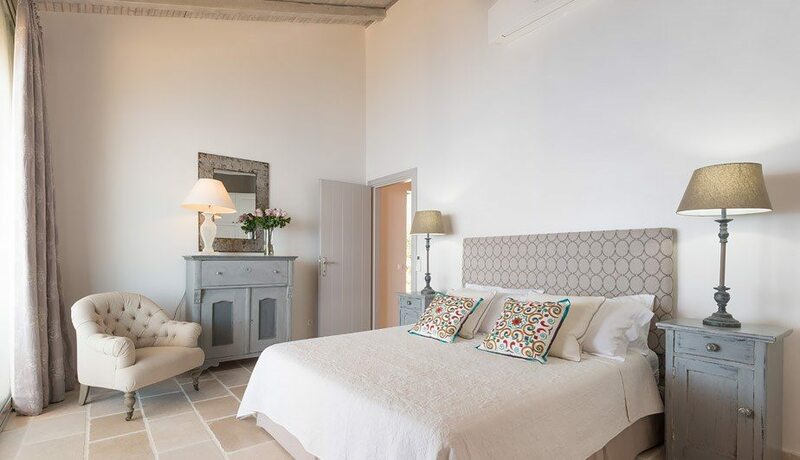 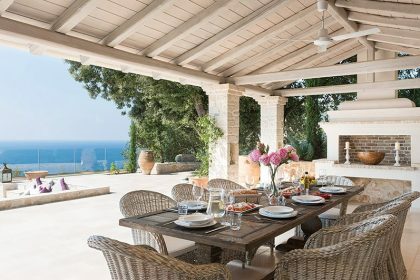 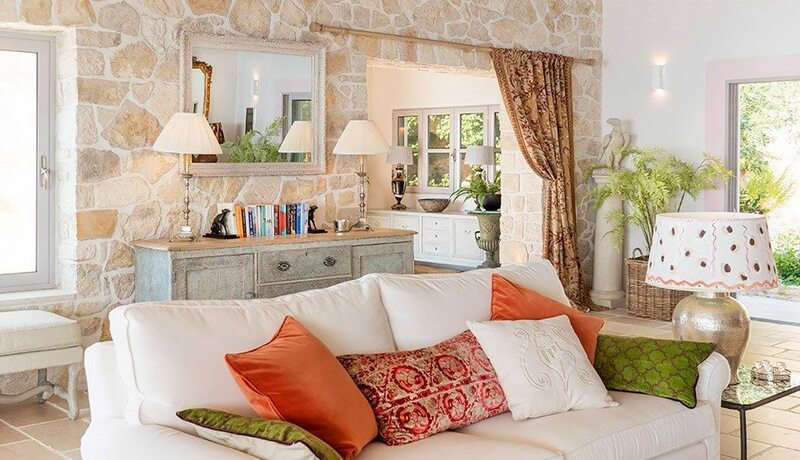 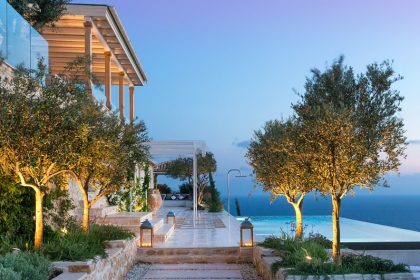 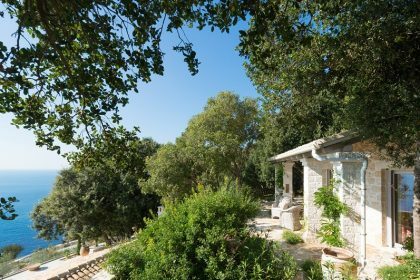 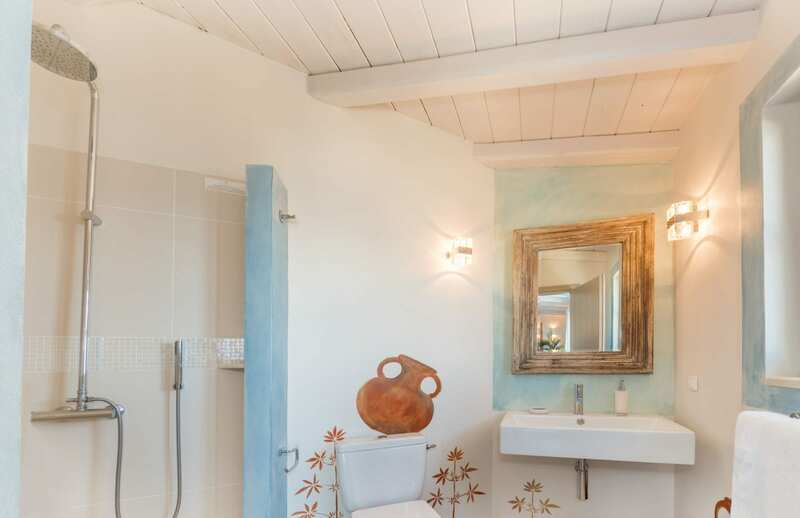 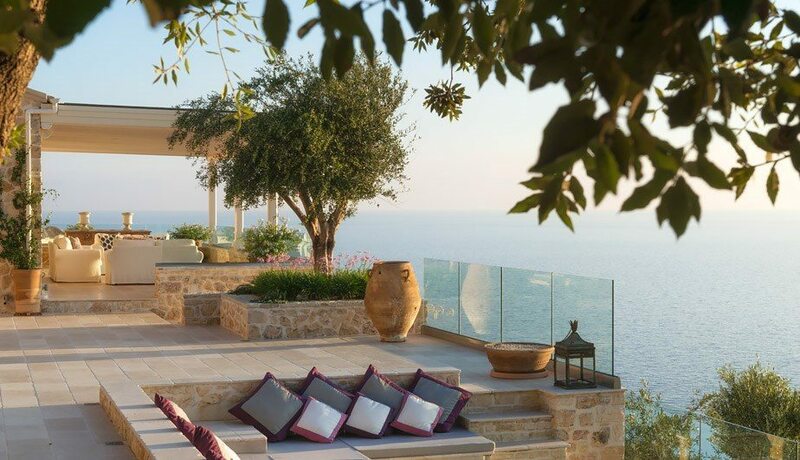 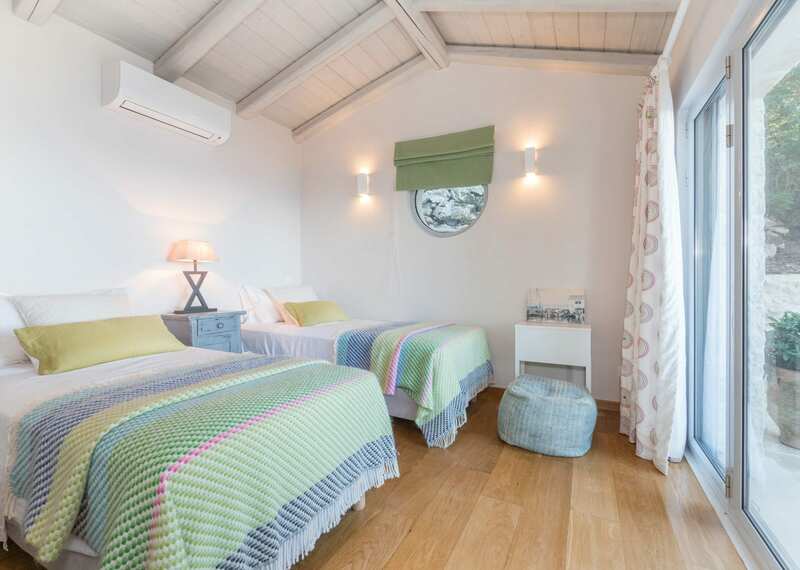 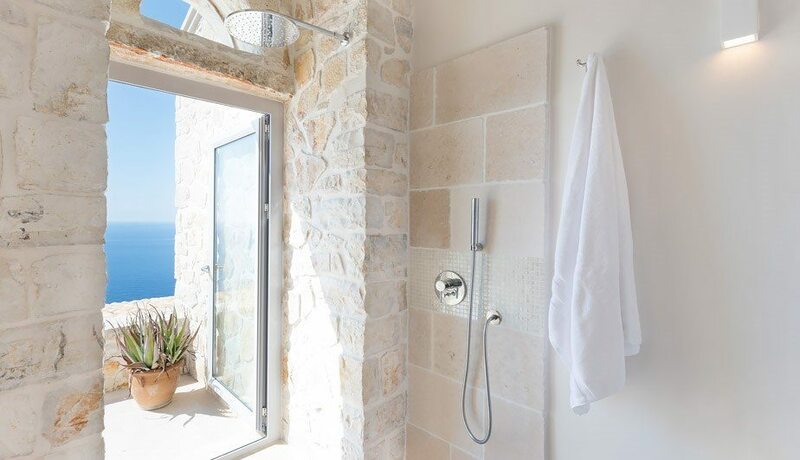 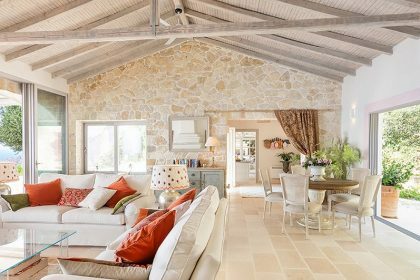 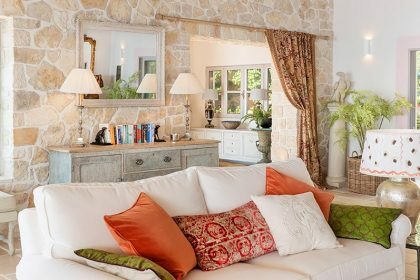 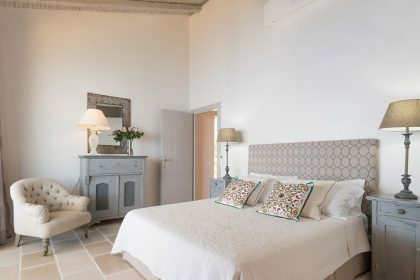 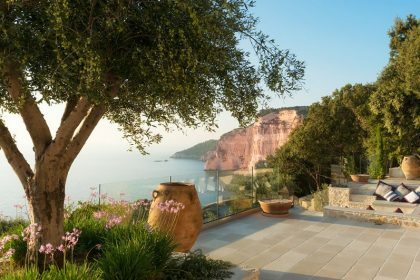 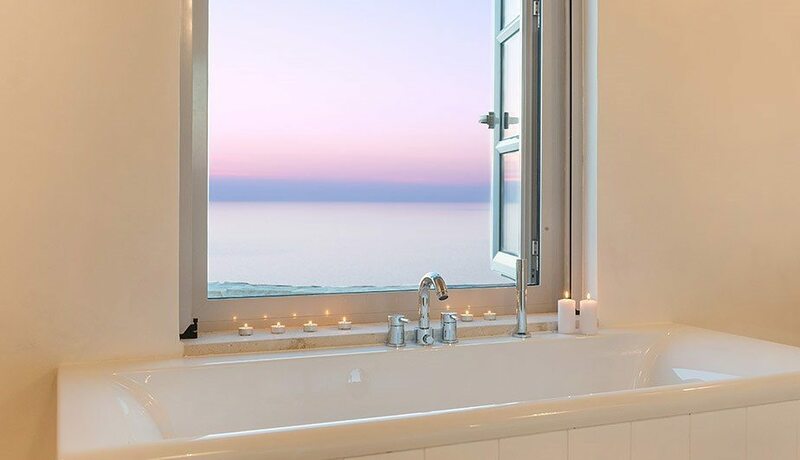 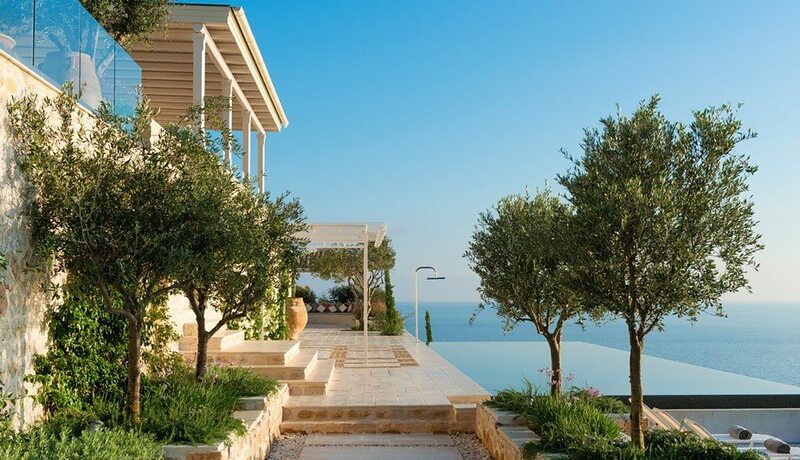 This is one of the very finest properties on Paxos and we are so proud to have it in our portfolio, we visited the house on a beautiful spring day and we were struck by the views from the pool – facing west we’ll never forget the view of the white cliffs of Erimitis down across the Ionian. 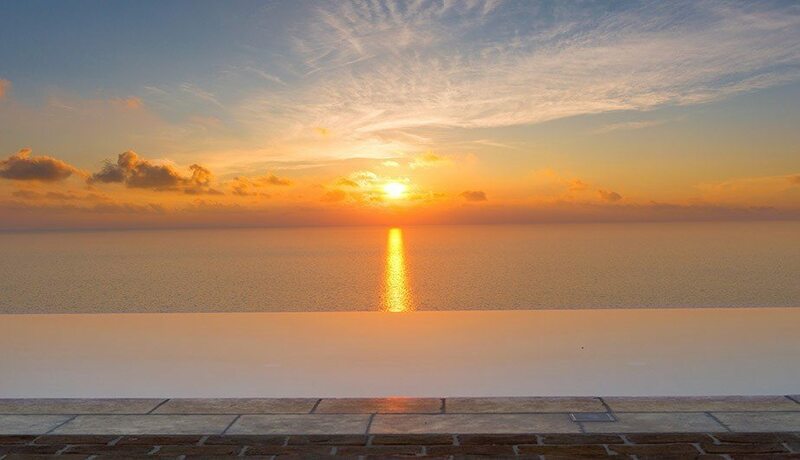 People flock to a bar with a very similar view to see the sunset – enjoy it nightly from this amazing location. 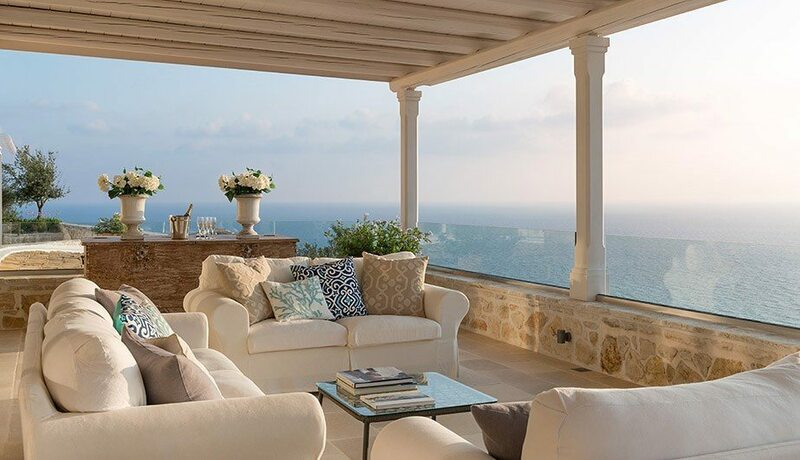 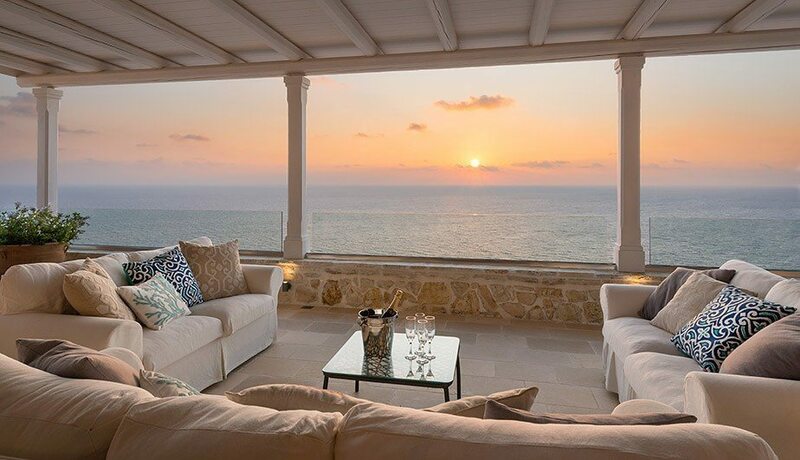 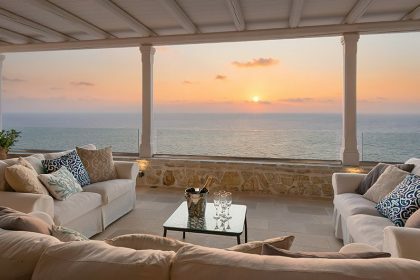 Built to perfection with no stone left unturned, the stunning terrace runs the length of the house where comfortable sofas have been moved outside to create a glorious inside/outside sitting area overlooking the pool and view of the sea. This is definitely where we would have our evening drinks. 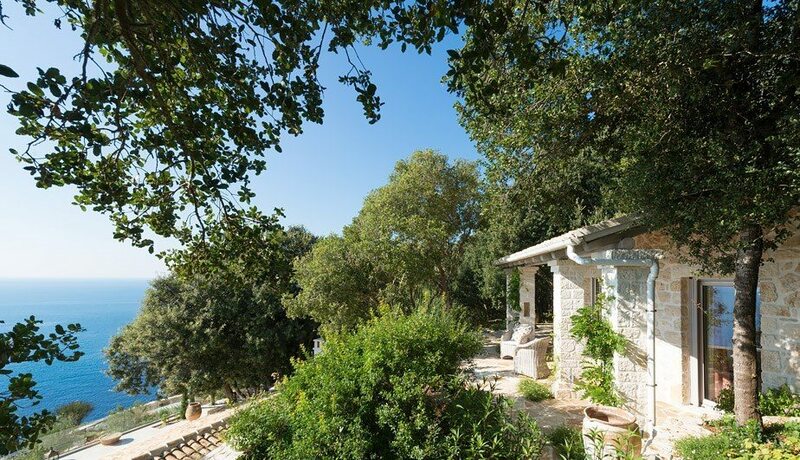 There is a lovely shaded loggia in the garden with a beautiful Grecian tiled roof, a wonderful place to relax after a long lunch – perfect for getting away from noisy children. 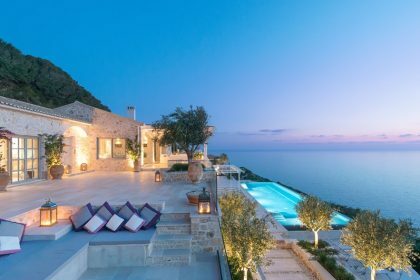 The swimming pool appears to float in the air as it juts out from the side of the hill looking across to Erimitis and the glorious sunset. 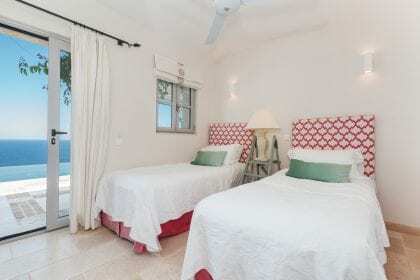 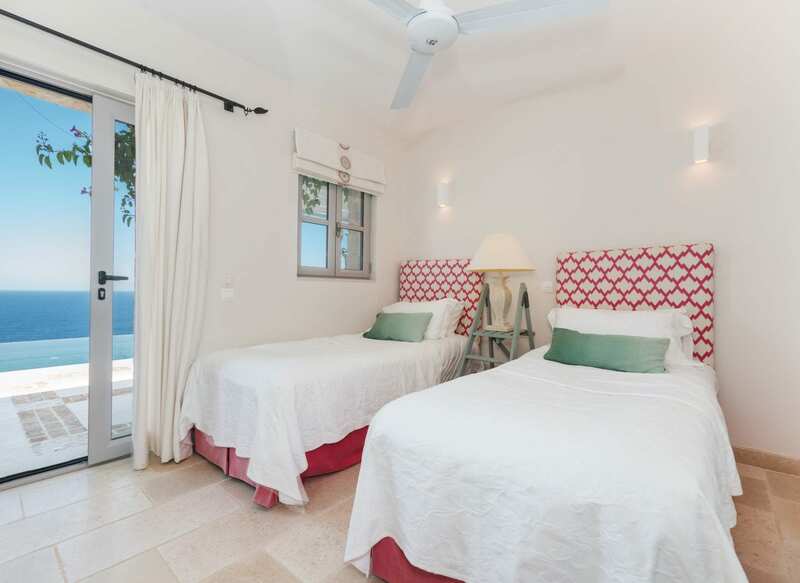 The sunbeds are luxurious and come complete with small head pillows, just above the pool is a lovely wooden table where you can enjoy dinner or breakfast. 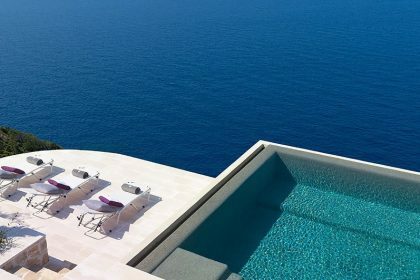 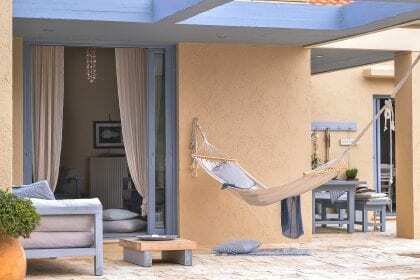 If you can drag yourself away from the pool or terrace, the insides of the house will not disappoint. 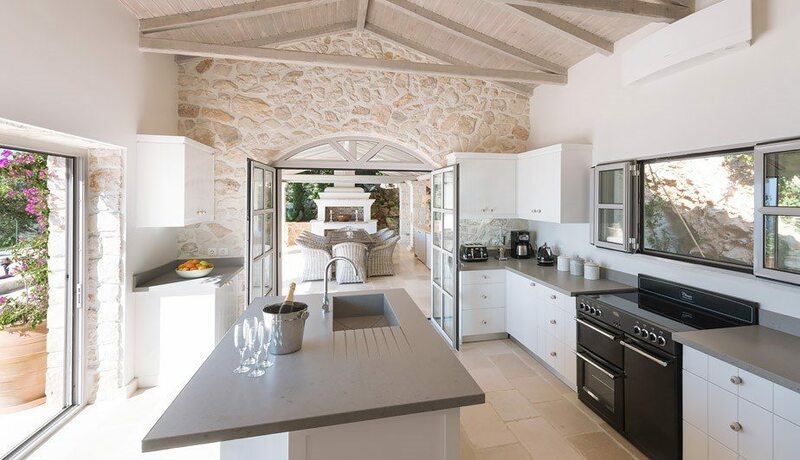 A state of the art kitchen also boasts the same glorious views, through a huge archway into the sumptuous sitting room which centres around a fireplace. 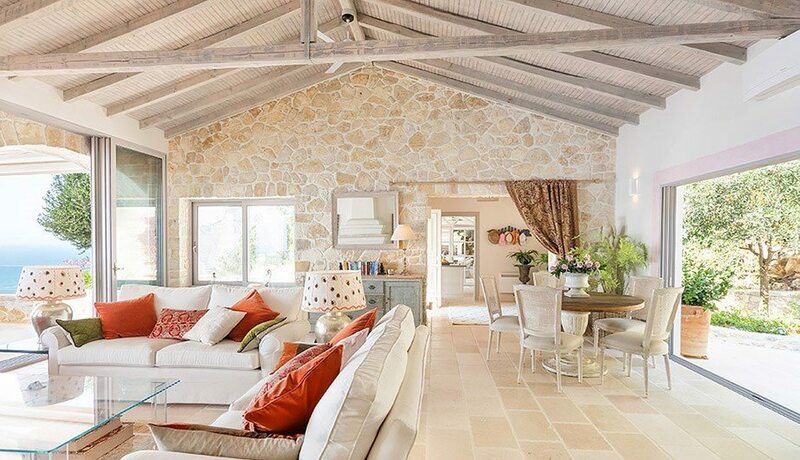 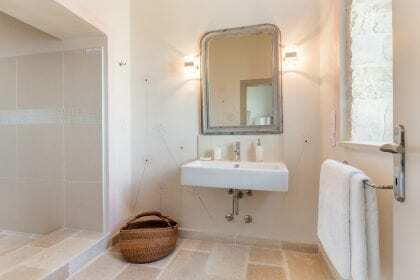 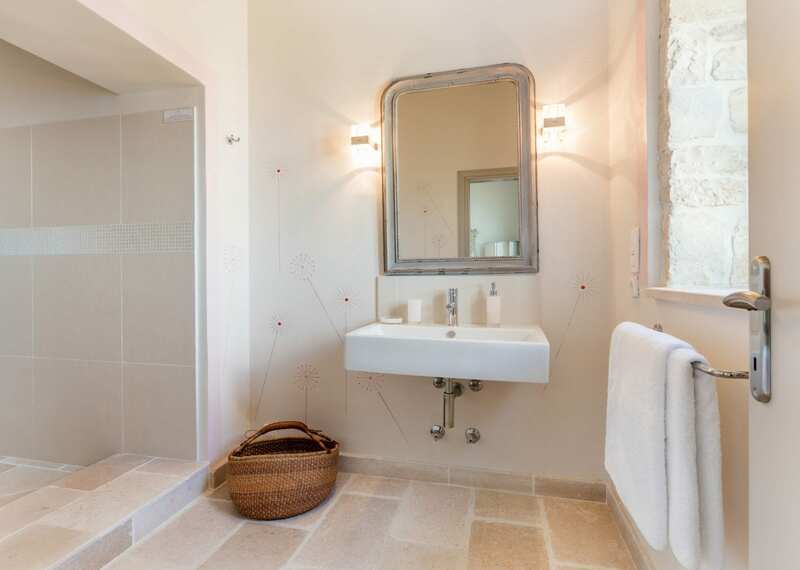 Lovely stone floors through ensure you will be cool underfoot even at the height of the summer. 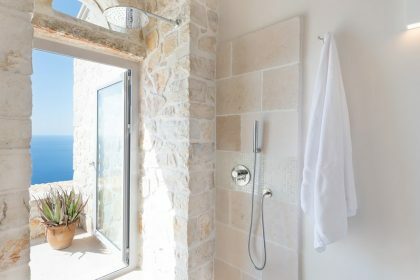 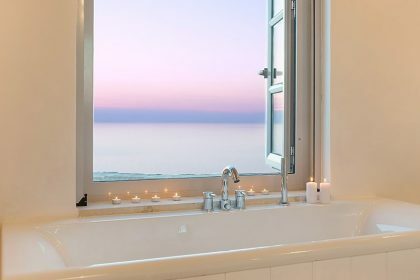 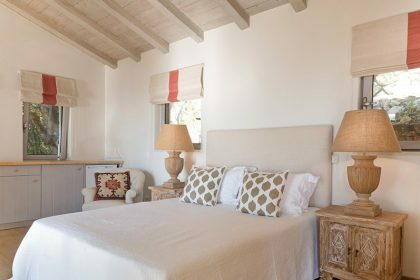 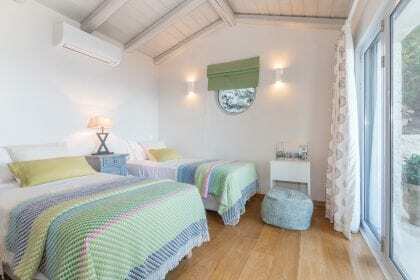 Bedrooms are beautifully furnished with luxurious linen and towels, each room with a more stunning view than the last. 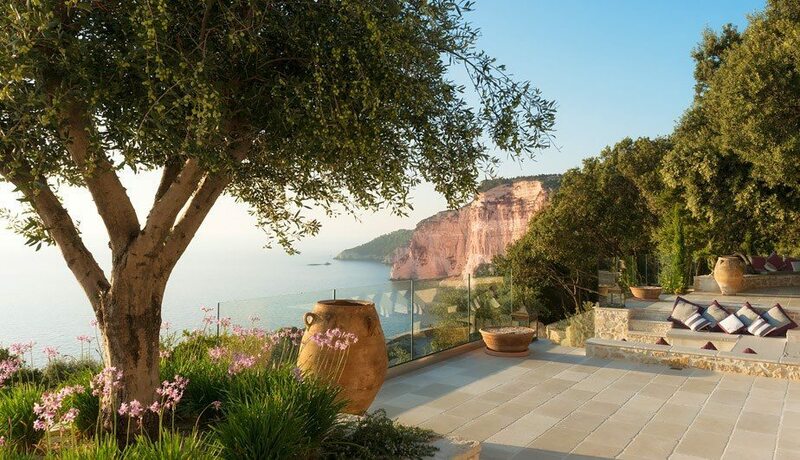 Terrace access is easy – enjoy breakfast every day with a view that will stay with you well into the winter. 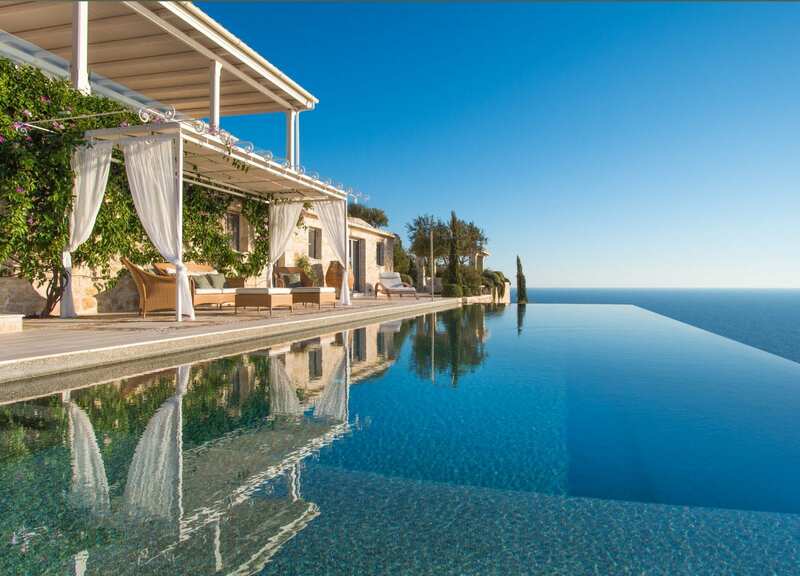 We cannot recommend this property more highly.